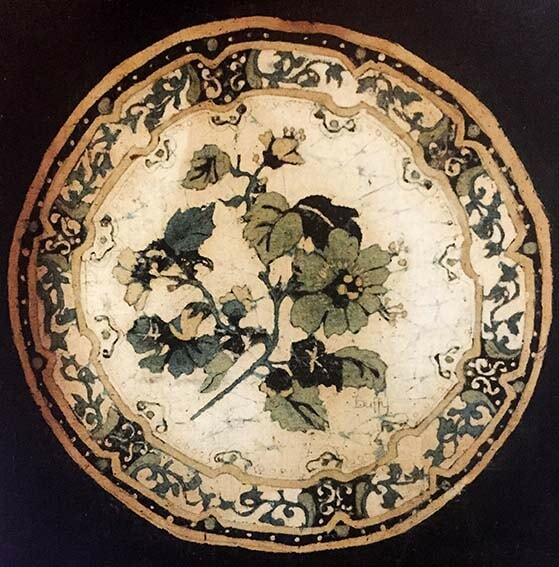 This is a copy of an old cracked Chinese plate that I bought in a junk shop. I still have the plate which I love even though it is very damaged and mended with old rivets. This early Batik has never been protected behind glass and has only survived because I gave it to my mother - and like all doting mums, she kept it.